A whisky by any other name… might not be whiskey! As we’ve discussed before, “Whiskey” with an ‘e’ is not the same as “Whisky” without the ‘e’. Yes, the spirit may be distilled in the same fashion, but the ingredients (barley vs corn/rye/wheat) and the location of distillation (Scotland vs US/Japan/Ireland) are very different. 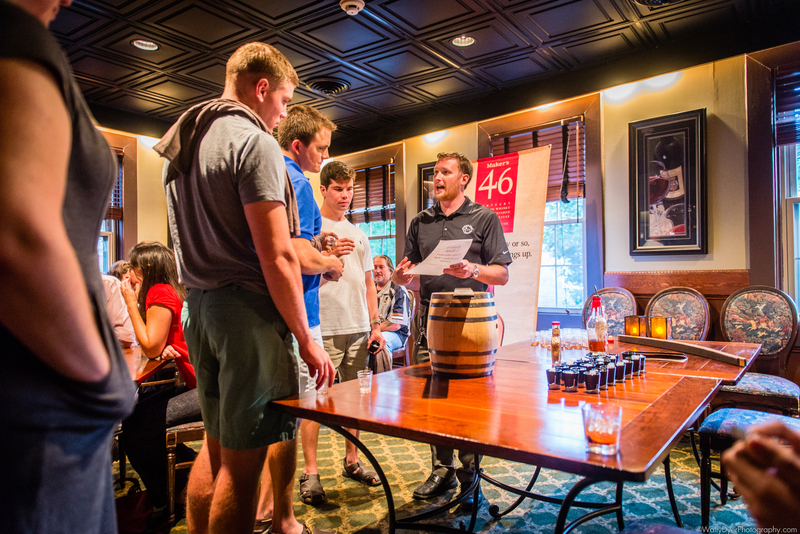 That said… last night Scotch and Sniff headed out to Harry Brownes in Annapolis for a private tasting event held by two gents from Maker’s Mark. 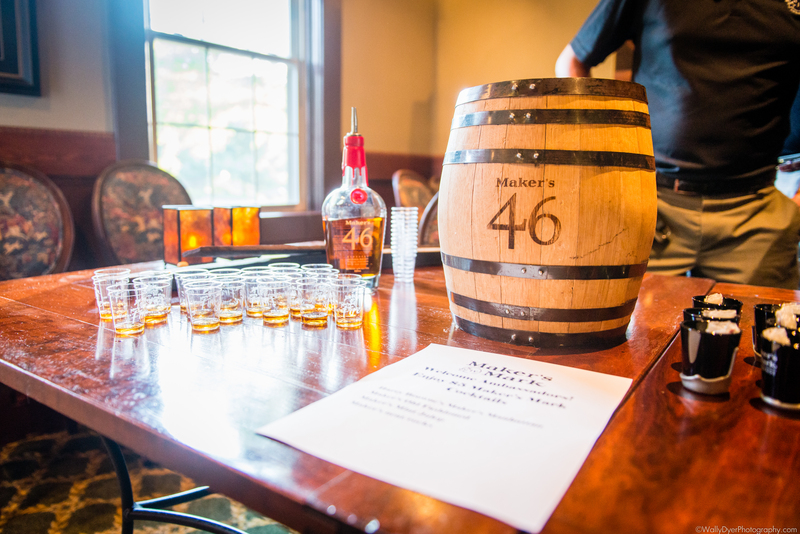 It’s free to sign up to be an ambassador on the Maker’s Mark website and it comes with a few interesting perks you can read about there. Basically, it’s an engaging program that helps to fuel some zeal in people who enjoy Maker’s. I think the rest of this story is best told with pictures. 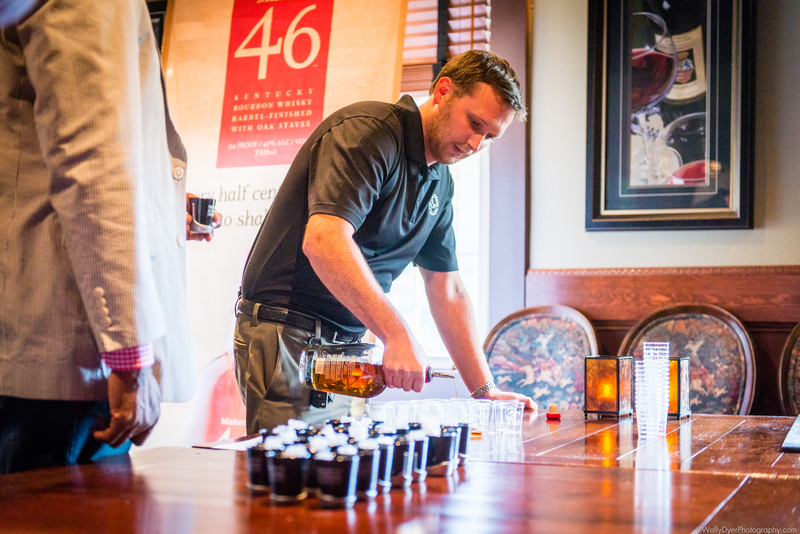 Ryan Miles of Maker’s Mark introducing people to the event. 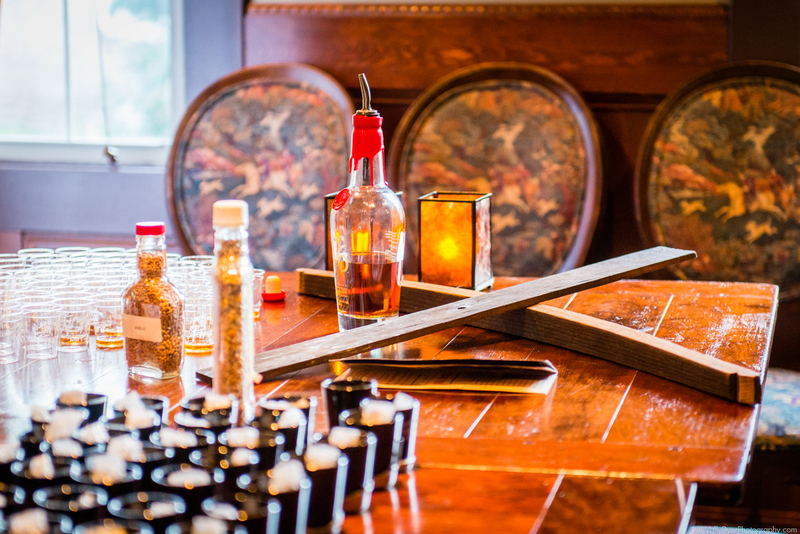 Beautiful layout of Maker’s Mark 46 samples and mini barrel. 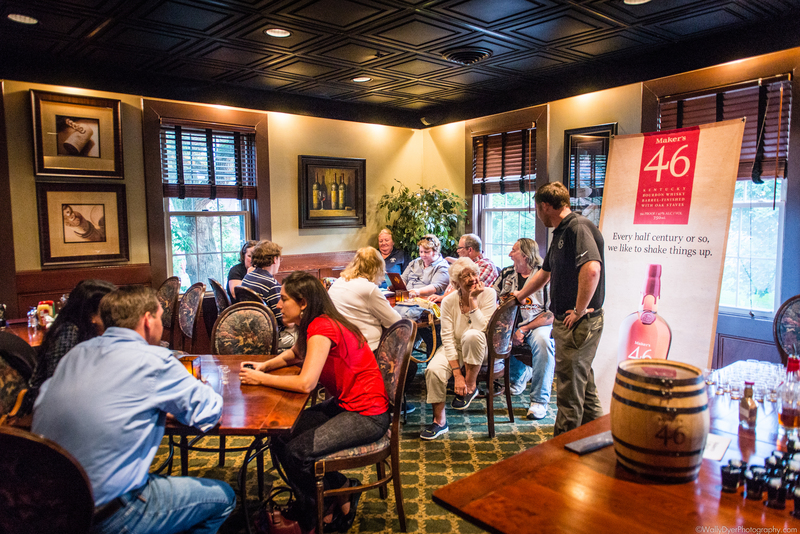 Ambassadors enjoying their time in the tasting room, adjacent to the bar. 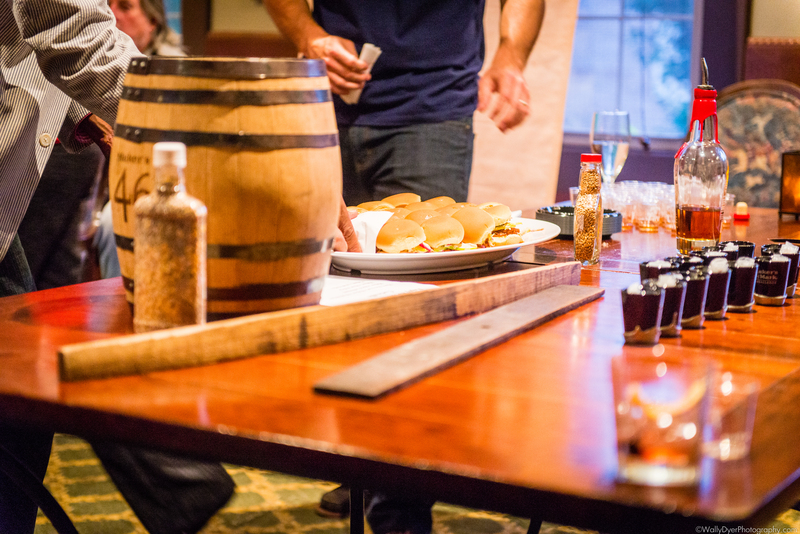 A portion of a barrel and a seared french oak stave used for 9 weeks in the barrels for flavor. 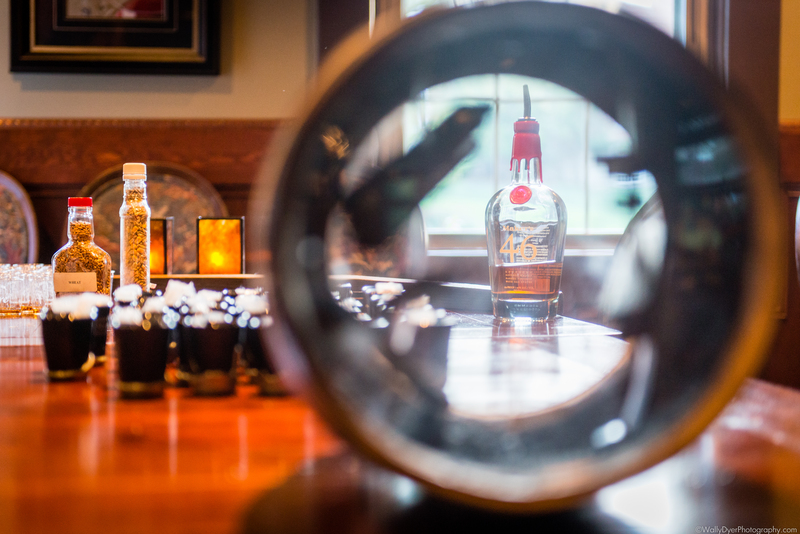 A veiw of the Maker’s Mark 46 barrel through the mini barrel. They fed us with pulled pork coleslaw sliders covered in a Maker’s flavored sauce! Delicious! Overall the event was a lot of fun with friends and as with most things in the world of alcohol, “seek and you will find”. We inquired about the types of barrels used, the types of wood, the aging process, the warehouse conditions, and a myriad of other questions; all that they were willing to answer. This makes us doubly excited to plan our trip to Scotland in 2015!! Hopefully you’ve enjoyed this adventurous post. If you have any questions, feel free to leave a comment and we’ll be sure to answer them! I almost forgot to add the big announcement that Maker’s has! They’re releasing a cask strength (barrel proof for the bourbon lovers) expression of Maker’s soon! They had a listing of local bars in the DC/Baltimore/Annapolis area that would have it first and Jack Rose is on that list! Who’s excited for a Jack Rose Adventure Part Two! ?